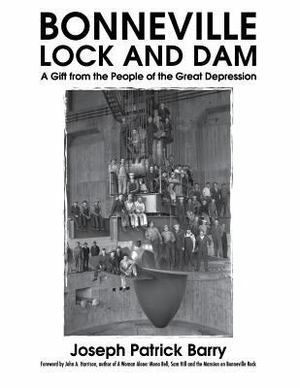 Bonneville Lock and Dam became one of the symbols of the Great Depression era efforts to jump-start the economy and get people working again. During the 1930s, massive public works projects like Bonneville gave the people of the Great Depression jobs and hope. Bonneville also played an important role during World War II, providing power for building ships and aircraft. Since the 1930s, it has generated non-stop, clean, renewable power, provided inexpensive inland navigation, and water-based recreation. The dam evolved with the changing needs of society. This gift of 1930s infrastructure continues to return benefits for all Americans. Enjoy this insider's view of the dam - told by a person whose job was to give tours, tell stories about the dam, and shape the visitor experience for a half million people a year. In addition to a history of the dam, here are tales from the people who worked there. Find out about Benjamin Bonneville and the natural events that set the stage for the dam. Hear suggestions from a ranger about the best ways to visit the dam and learn some obscure facts about this iconic structure. Bonneville symbolizes technology and science but also includes many works of art. It has even found its way into films and television. Discover all of this and more.